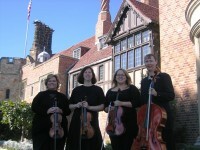 Please go to https://www.rondostringquartet.com/blog-1 to find our newer Rondo String Quartet blogs. While we did not have the pleasure of meeting Mary Freed in person, her husband and daughters were painted a picture of a private, music lover with their sweet word. The first in an on-going series of fine-music concerts, honoring the memory of Mary Freed took place at Holy Spirit Church in West Bloomfield on March 7, Mary’s birthday. We were honored to be the showcase performers at this event and played songs selected by Mary’s family including works by Bach, Vivaldi, Beethoven and even the song “I Heard the Bells on Christmas Day”, a song of great meaning to Mary and her family. In her youth, Mary and three of her sisters performed as a string quartet, using instruments that had been made for them by their grandfather. During the concert our colleague, Tracey Riggs, played Mary’s favorite hymn “Precious Lord, Take My Hand”, on the very violin made by her grandfather. The night would not have been complete without her husband John leading the audience in singing “Happy Birthday” to Mary whose presence was felt by those in attendance. Following the concert, a reception was held replete with delicious homemade desserts and an amazing violin cake made by one of Mary’s friends. The next concert will be Wednesday, June 13th at 7:30 p.m. featuring a Jazz Band, Gene and Tonics. We were honored with the opportunity to perform for Bravo Programs 2018 Scholarship Dinner at Zuccaro’s Banquet in Chesterfield Township this month. The dinner provided by Zuccaro’s was outstanding. Without a doubt, some of the very best banquet food we have encountered. Still, the real star was Bravo Programs, a non-profit 501 C 3 charity organization based in Michigan that serves “aged out” foster youth ages 18-24 with scholarships for college or trade schools. Turning 18 or 21 for your typical American means newfound independence. But for more than 20,000 young adults in this country, it means that it’s time to do something. For many of these youths, the challenges that start in their teen years and early 20’s such as academic failure or unplanned pregnancies continue throughout the rest of their lives. For the few young adults that leave foster care and make it to college, many challenges await them. Often they cannot afford textbooks, have no place to go over holiday breaks when school closes, and find the college system difficult to navigate. It is BPA’s mission through education to provide a pathway to success and achieve the American dream. BPA is serious about the mission of educating foster youth through scholarships for community colleges, trade schools and major universities. They believe that young adults are one of America’s most important investments and that education is their way out. Packard Proving Grounds has quickly become a sought after location for those couples looking for a “rustic industrial” venue. Located on Van Dyke in Shelby Township, the facilities provide clients with a blank canvas on which to create their own feel for their wedding day. Sara and Donovan had the help of friends and family to create their dream wedding day. Cousin Jason Schneider officiated the wedding which included the song “You Are the Best Thing” by Ray LaMontagne for the processional and the theme from “Star Wars” for the recessional. Twinkling lights in wine bottles amidst the snow led guests from the ceremony to the reception hall and that’s where Sara and Donovan’s dream became reality. 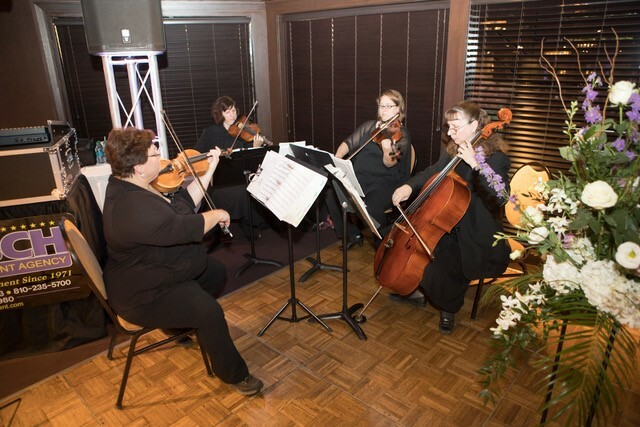 Sara shared with us that they wanted a “relaxed feel” for their wedding day where their guests could “visit and share conversation.” It was this goal that led them to use our string quartet for their reception instead of a DJ or band. Often the music is so loud that guests have difficulty talking. While dancing is enjoyable, many couples want the opportunity to visit with their guests in a casual setting. We played a wide mix of music and took requests while the guests enjoyed an outstanding meal provided by Kristina’s Catering . A&D Photography was on hand to capture the memories and created some beautiful shots around the antique Packard cars. It was a lovely night for everyone involved and we send our very best wishes to Donovan and Sara! We are honored to receive the Gigmasters Best of 2017 Award and send a special thank you to all our couples who submitted lovely reviews about our work and its impact on their wedding day. This award comes on the heels of winning the Wedding Wire Couple’s Choice Award. 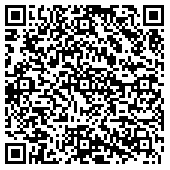 We are proud to say that we have over a decade of continuous awards for our work in the wedding industry. What can be more picture perfect then a historic estate home, lit up with lighted garland on a snowy evening? The Buhl Estate at Addison Oaks park was a photographers dream for Shannon and David’s wedding. The gorgeous estate and its gardens during the summer months are just two of of the reasons this estate ranks high on the wedding venue list. The phenomenal staff is yet another reason. Always efficient, Dan, Lois and their staff do an awesome job orchestrating the facility for weddings. Shannon and David’s wedding had a behind the scenes helper who acted as our contact throughout the planning stages. Sue Delpup, David’s mother, was heavily involved in the planning of the day. Roy Thomas officiated the wedding with his usual tenderness interspersed with humor and joy for the occasion. David and Shannon chose every song we performed including Butterfly Waltz for Shannon’s processional to Shut Up and Dance for their delightfully fun recessional. We wish this lovely the couple the very best as they begin their life’s journey together! Congratulations to Adam and Mary on their wedding and reception at Boulder Pointe Golf Club in Oxford. Known for their phenomenal professional event coordinators, Boulder Pointe staff will work with you from beginning to end to help ease your decision making and to ensure that every detail is perfect in every way. Becky Taddiken, Director of Sales and Events at Boulder Pointe, certainly made sure that everything was perfect for Adam and Mary. We had the pleasure of playing for Mary and Adam’s reception and the couple chose romantic melodies like Unchained Melody, The Way You Look Tonight, Hallelujah and What a Wonderful World. It was an elegant night for the newlyweds and we send our best wishes as they begin married life together. The historic Colony Club is centrally located in downtown Detroit on Park Avenue. It is one of the most beautiful and popular event spaces in the city for weddings and private events. Nothing says old world elegance like gold leaf ceilings, impressive crystal chandeliers and Louis XVI decor. Karla and Durell were married here among family and friends by Pastor Jerry. The large wedding party walked down the aisle to the worship song “10,000 Reasons”. Karla and her parents processed to the ever popular “Kanon in D” by Pachelbel. A highlight for us was accompanying Durell’s Aunt, Dorianne Denard, while she sang the spiritual “It is Well”. Her moving rendition was the perfect compliment to her nephew’s wedding ceremony. As always, The Colony Club staff was superb. Molly, the venue wedding coordinator, was incredibly helpful with cues. With a large wedding party, extra eyes are always helpful and we appreciate her assistance. The guests enjoyed a cocktail hour downstairs followed by dinner in the grand ballroom. We send our best wishes to Karla and Durell as they being their life together as husband and wife. A Holiday Party by Class Appraisal at Ruth’s Chris Steak House is a Winning Combination! In 2010, legislation known as The Dodd-Frank Wall Street Reform and Consumer Protection Act, was enacted that required mortgage lenders to abide by “Appraisal Independence Requirements” (AIR). As a result, Class Appraisal, a Nationwide Appraisal Management Company, was formed by a team of industry veterans to service the ever changing needs of the mortgage and valuation industry. We had the pleasure of playing for Class Appraisal’s holiday party at Ruth Chris’ Steak House in Troy this holiday season. This is the second time we’ve been invited to be a part of this veteran company’s end of the year party. We had a delightful time playing Christmas music, today’s hits and several requests from guests. Susan Stirling orchestrated an elegant night for her colleagues and we’re very appreciative of her invitation to be a part of the celebration. We extend our best wishes for their continued success in the New Year. Few venues offer the the feeling of a tropical garden with the protection of an indoor climate. Located in Farmington Hills, Planterra Conservatory is a glass-enclosed, botanical garden venue. With European curved trusses, indoor koi ponds and a dramatic stone gabian archway, the Conservatory houses a wide collection of lush, exotic botanicals. Providing views of the stars on a clear night and soft, natural light during the day, Planterra Conservatory is a unique event space for weddings, corporate events and social functions. Sarah and Matt shared their nuptials with many family and friends in this beautiful setting. We enjoyed speaking with several of their guests before the wedding and discovered that we had an audience of knowledgeable musicians in the house. It’s always a pleasure to perform for an appreciative audience! Sarah and Matt’s mothers walked in to the song “Here Comes the Sun” and lit their child’s individual candle that were later used in the unity candle portion of the ceremony. Sarah and her bridal party processed to “Can’t Help Falling In Love” with the ring bearer setting the tone for the ceremony. “Best Day of My Life” was a fitting recessional for the couple who clearly were enjoying the day. Planterra always looks lush and beautiful. The candelabras and lit trees sparkled under the glass ceiling and created a magical effect. Tiffany, the Planterra wedding coordinator, is one of the best in the business. She’s always helpful and on top of every detail. It was a beautiful night for a lovely couple in an enchanting garden.